The Beverly Hills Hotel and Bungalows, is a luxury Hotel in Beverly Hills, one of the best hotels in California with three themed ballrooms. 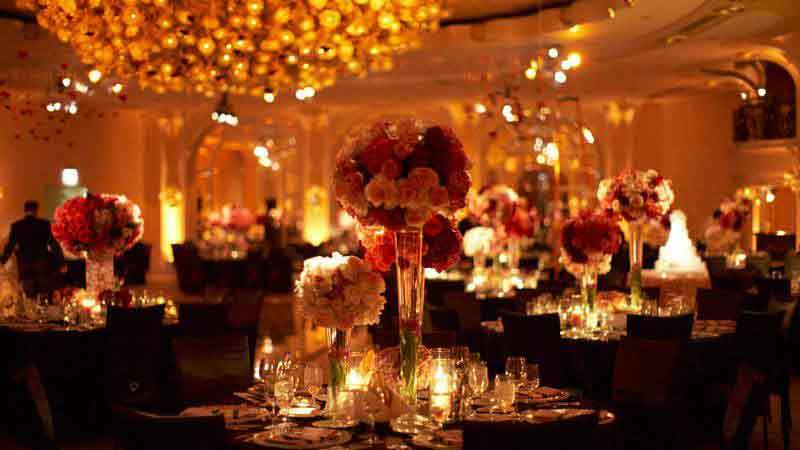 Add glamour and class to your wedding by having it at the Beverly Hills Hotel. The hotel can accomodate small weddings of 10 to large weddings of 800. Go to beverlyhillshotel.com to find out more information about the Beverly Hills Hotel. The Beverly Hills Hotel and Bungalows is a luxury hotel in Beverly Hills. 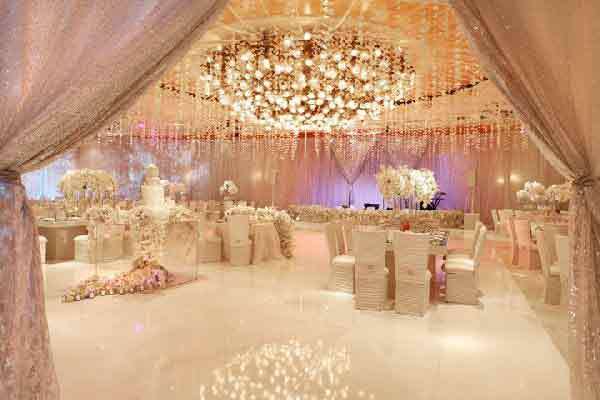 Consider it if you want a full service, deluxe wedding that will impress everyone of your wedding guests. Nobody turns down a wedding invitation to a wedding here. The Rodeo Ballroom has a built-in stage and and dance floor, with crystal chandeliers and a private terrace. 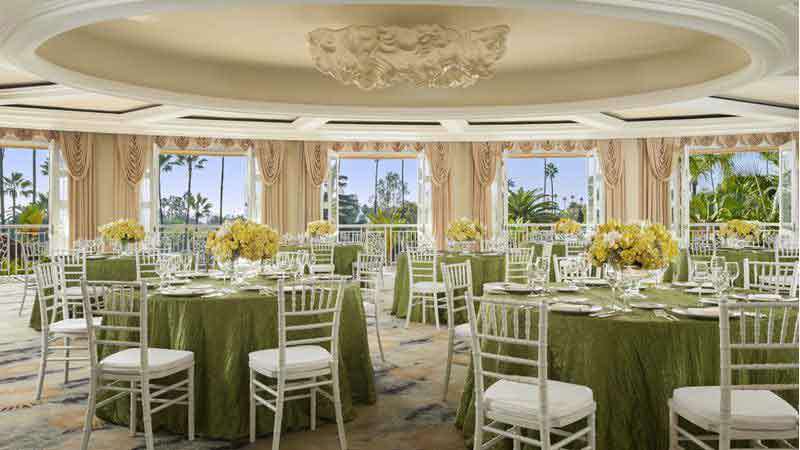 The Sunset Ballroom with a distinctive chandelier has French doors facing Sunset Boulevard. 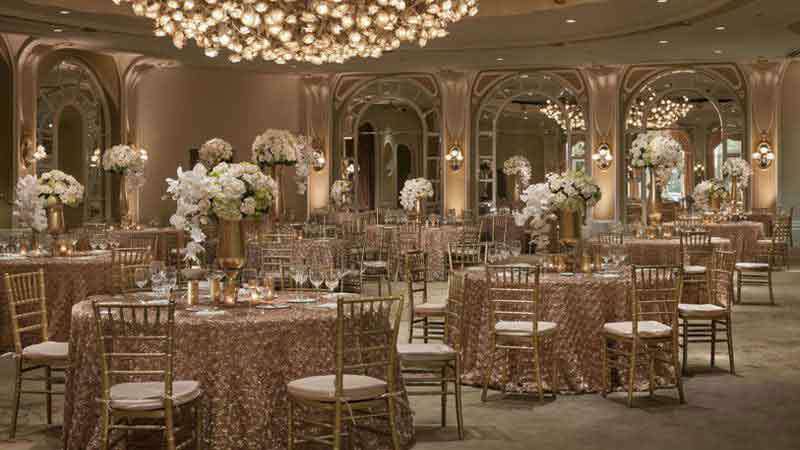 The Crystal Ballroom is a stunner with a built-in stage, dance floor, private foyer, and a huge flowery chandelier with French doors that overlook the garden and gazebo. It can accommodate up to 800 people. The gazebo in the Crystal Garden also provides a picturesque location for an outdoor marriage ceremony. And for smaller wedding receptions there is always the Polo Lounge Private Dining Room. So if you are looking for where to get married in Los Angeles for aLos Angeles marriage in wonderful Beverly Hills wedding locations call now. 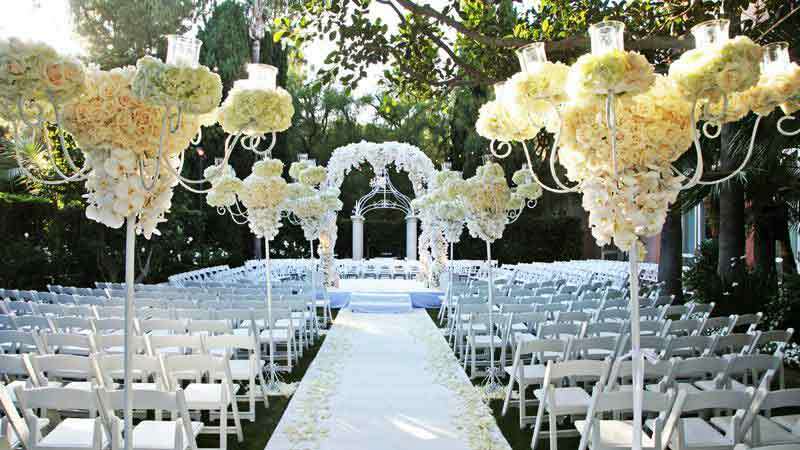 If ever you and your fiancé might desire to have a wedding service somewhere in California, touch base with the top Beverly Hills officiant. 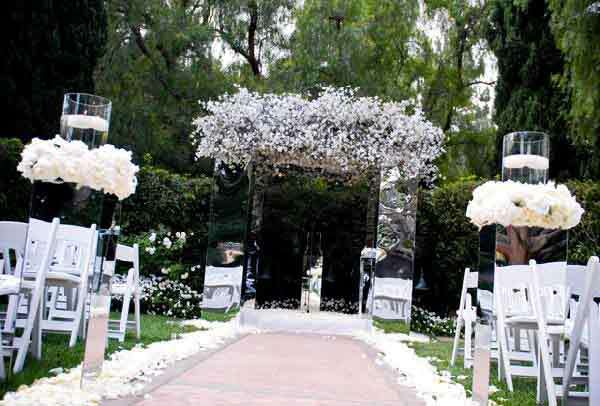 When you both need a hassle-free LA wedding ceremony, Chris can help you! 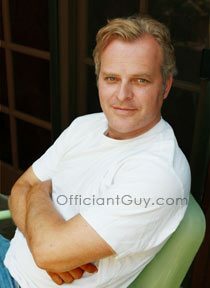 Call this officiant now to perform your nuptials and provide your marriage license at (310) 882-5039 or (562) 547-3255 or write to him here. Chris Robinson has been a ceremony officiant for many years. 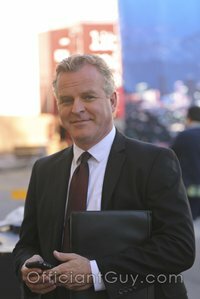 He’s worked with people from around the world, and has earned the trust of thousands of couples since he is actually a marriage-license-issuing notary, a non denominational wedding minister, a CA attorney and a really nice guy.